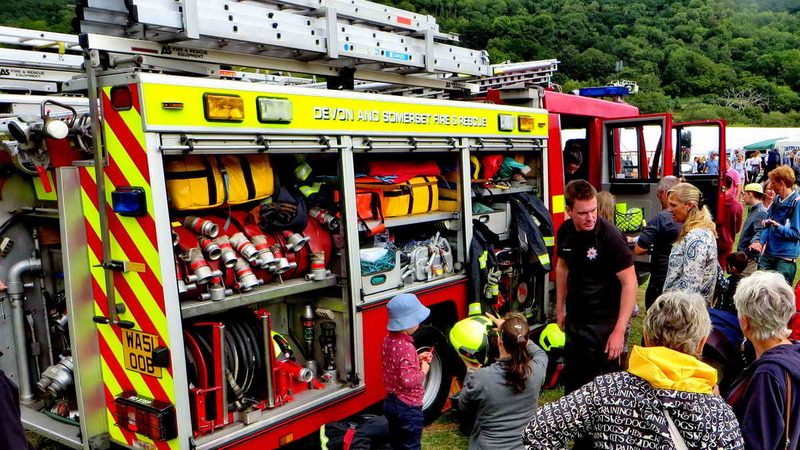 Once more, the sun has orbited to reach the point of Summer Bank Holiday Monday, on 27th of August, and the DPA attended the Lustleigh Show again. 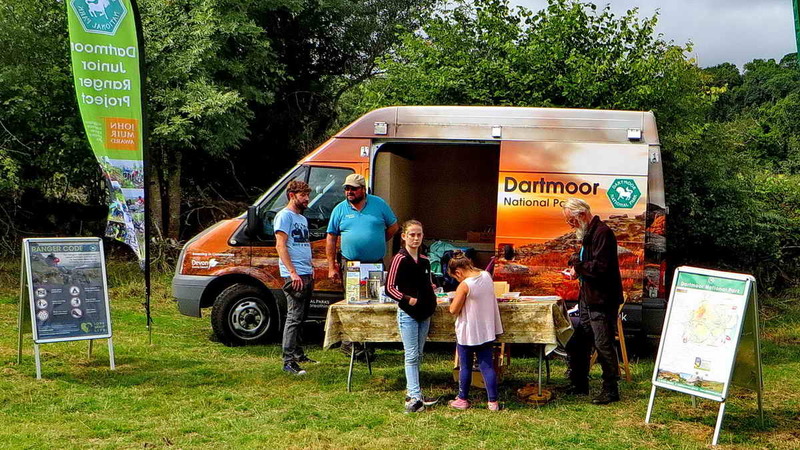 Regular DPA volunteers for these events, namely Val Barns, Derek Collins, Claude Williams and Keith & Berni Ryan were joined by Alison Clish-Green. 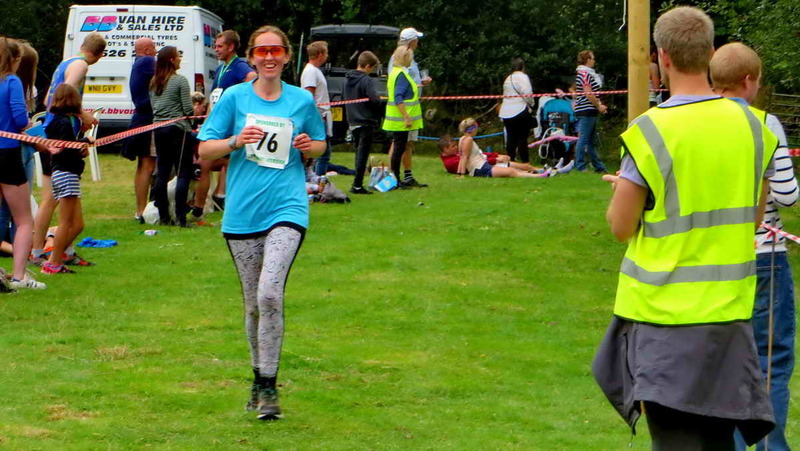 There are no long blocks of text below, just some photographs to remember the day by and a few short comments. 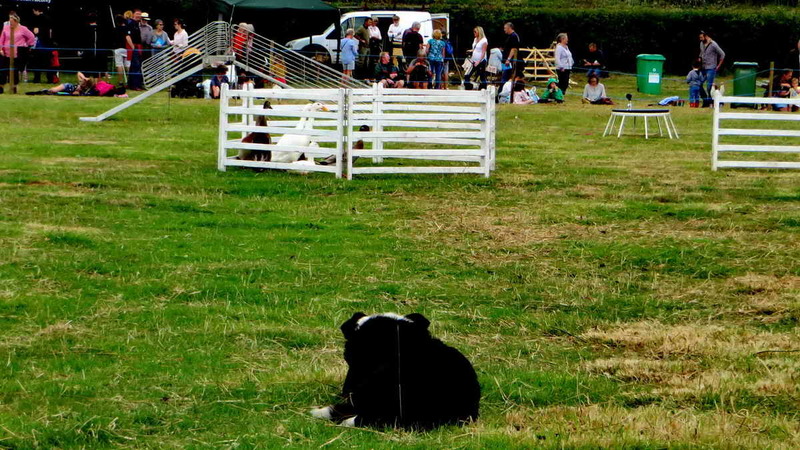 The photograph above shows a typical mid-morning scene at the main ring, with the crowd quite thick in places and sparse in others. 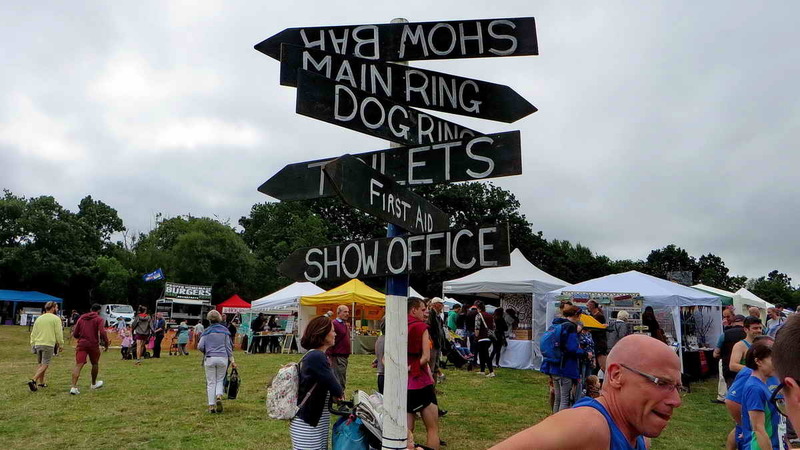 The main signpost inside the gate has the usual important areas with the upside-down Show Bar joke. 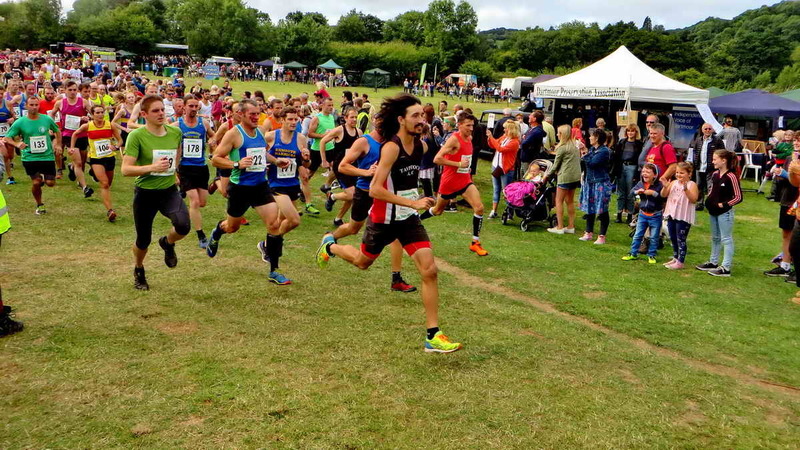 The Show has many attractions, a long-running major attraction is the 10k cross country run. 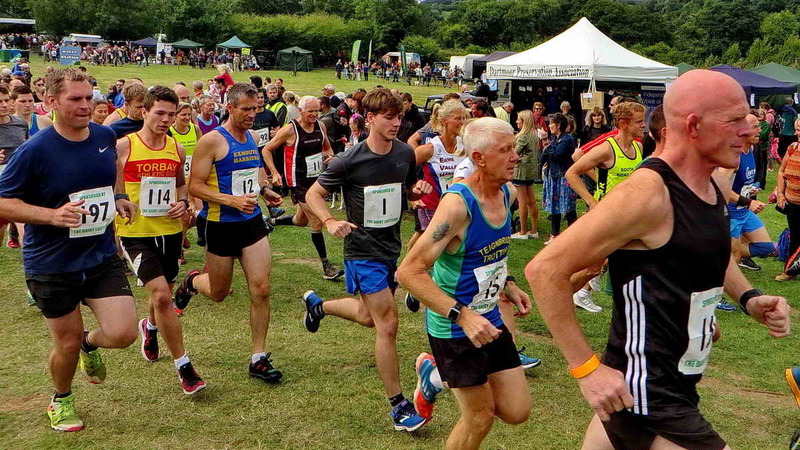 The commentator always says it is challenging. From snatches of conversation I heard while taking photograph it certainly doesn’t sound like a walk in the park! 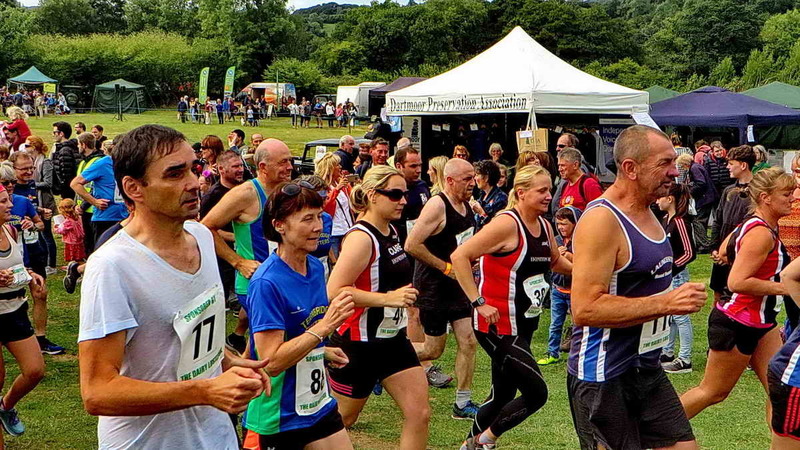 The photograph features the Lustleigh Show 10k runners and the DPA gazebo! 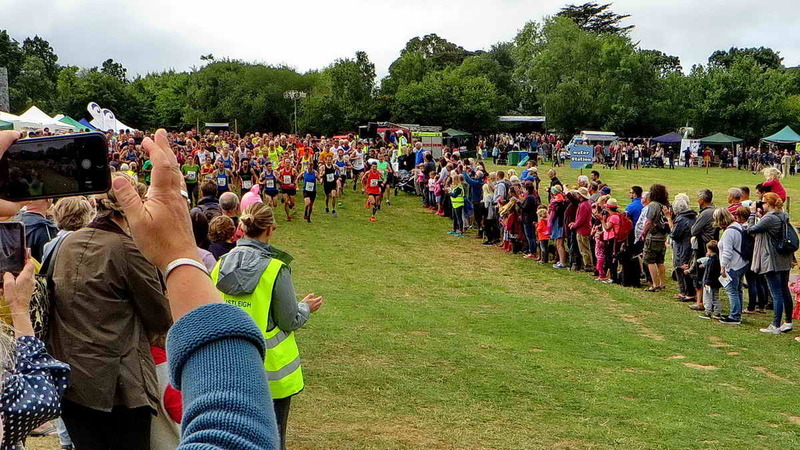 Here, they were passing en masse ….. I actually took another ten of these photographs – did you want to see them?! 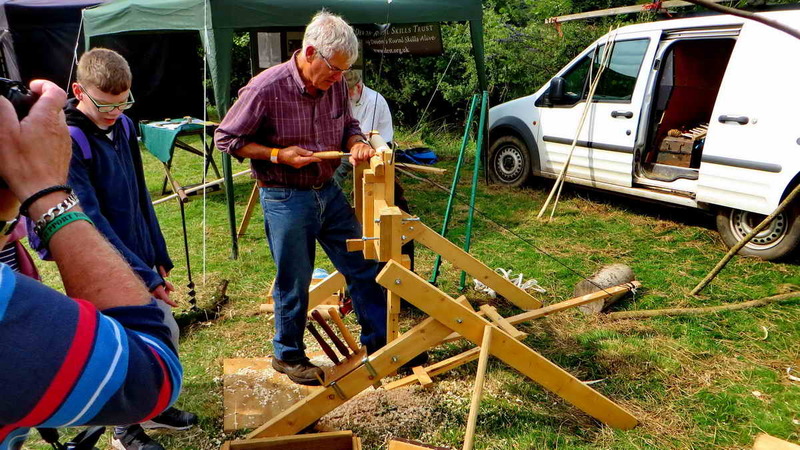 The wood-turning display was part of the Devon Rural Skills Trust effort. 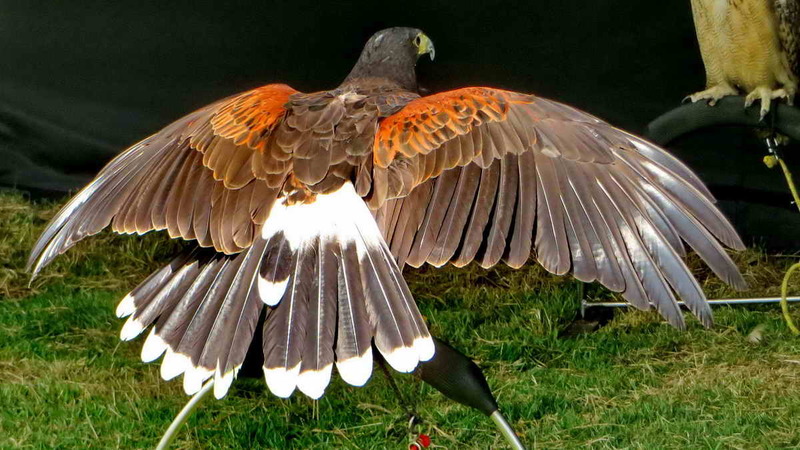 Above, a Harris hawk sun-bathing, although I see no shadows at this point, and it was too cool to be losing heat, although the birds were being sprayed periodically using a hosepipe fitted with a fine rose. 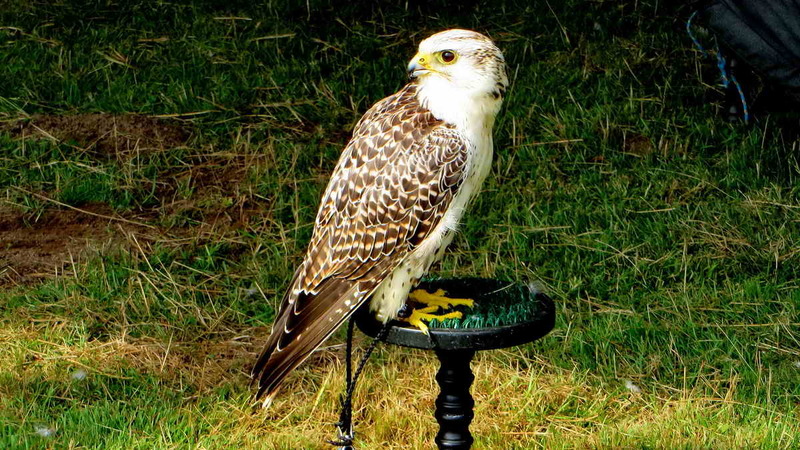 The birds, of which there were eight and possibly ten, were from North Devon Falconry. This bird spent so long in this position that I gave up waiting for the more “normal” front-looking pose and moved on. 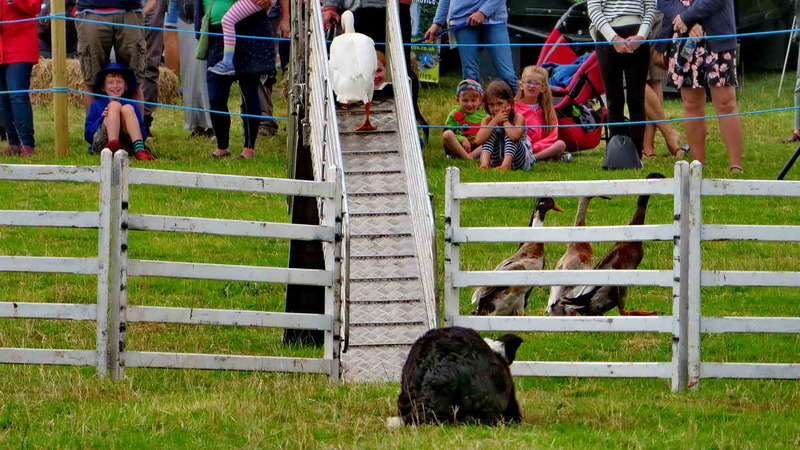 The National Park display was on the opposite side of the field to us. I did pick up good-looking leaflets entitled “Bird Trail Yarner Wood” and “Butterflies of the Bovey Valley”. 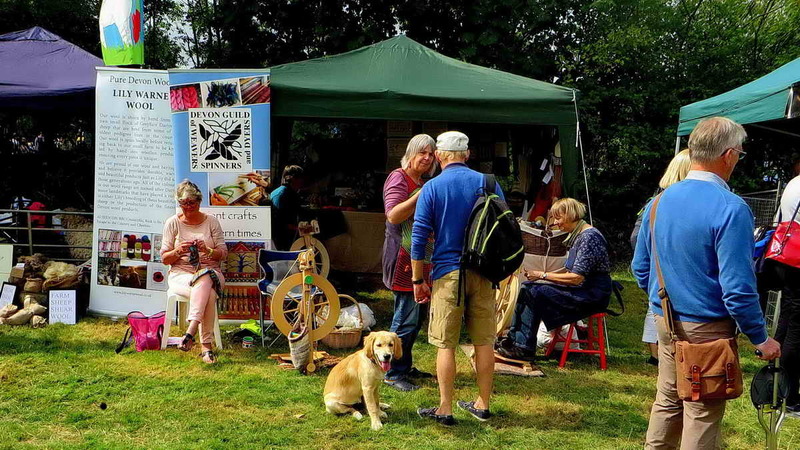 I can’t remember seeing the Devon Guild of Weavers, Spinners and Dyers at the Show before, but they looked interesting, hence the photograph. 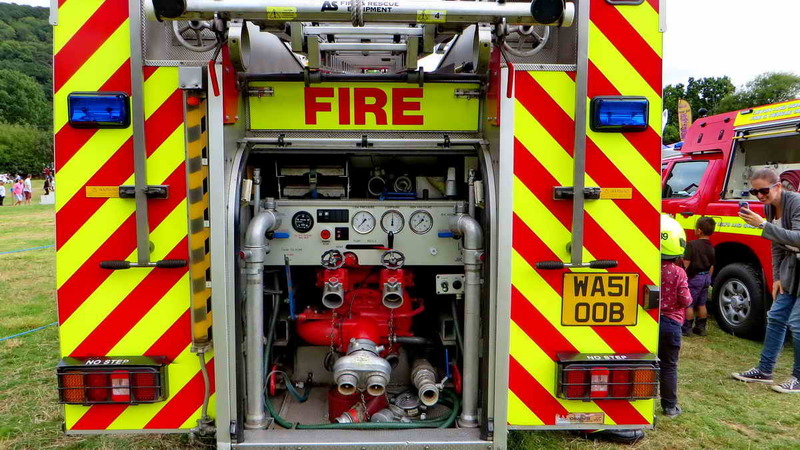 This is pretty obviously the rear end of a fire engine …..
….. and the associated sideshow. 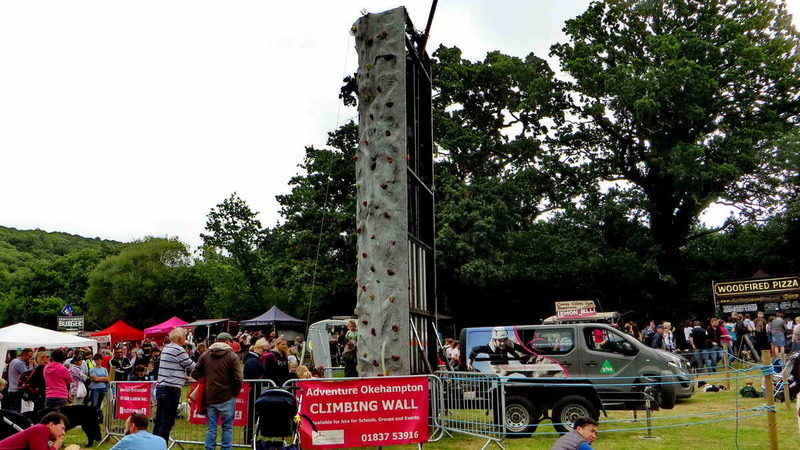 A climbing wall; I realise now that the photograph is not taken from the most flattering angle – it obviously has a wide front climbing face. 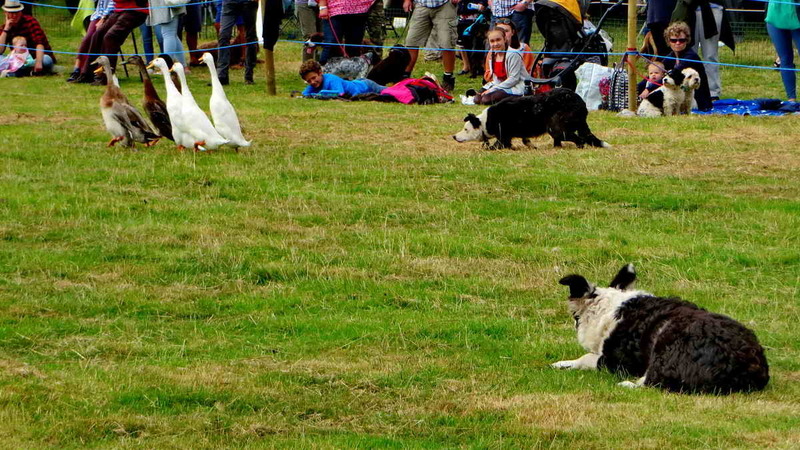 I wonder if these sheepdogs ever get confused when they encounter sheep? 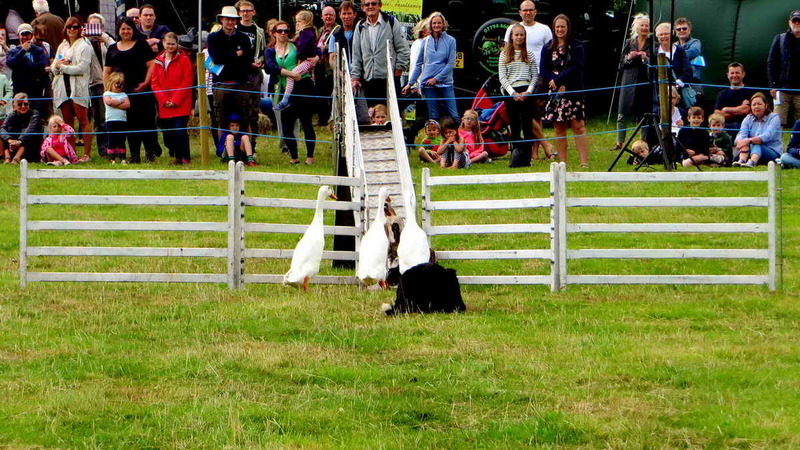 The sheaf-tossing was right in front of us – if that is possible to say when we had two open sides on the gazebo. 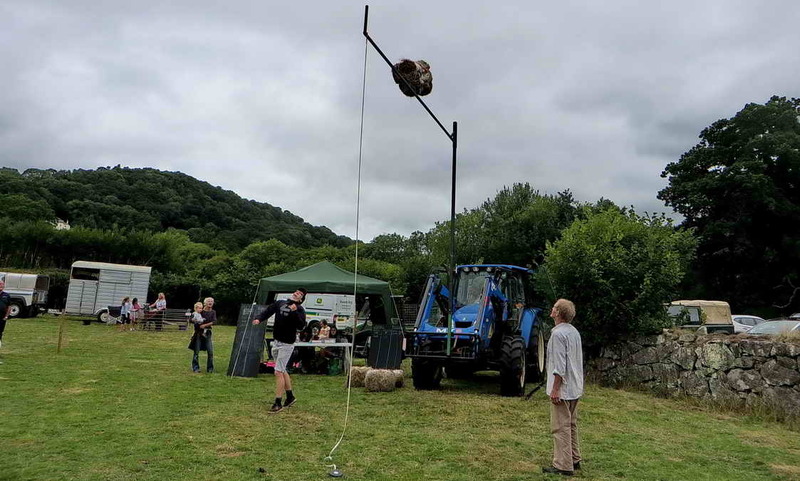 Most people threw the bale two-habded, give it two swings down between the knees and then letting rip skywards. However, I believe the man who used a different, side-on, one-handed throw got it a couple of feet (maybe more) above the bar. 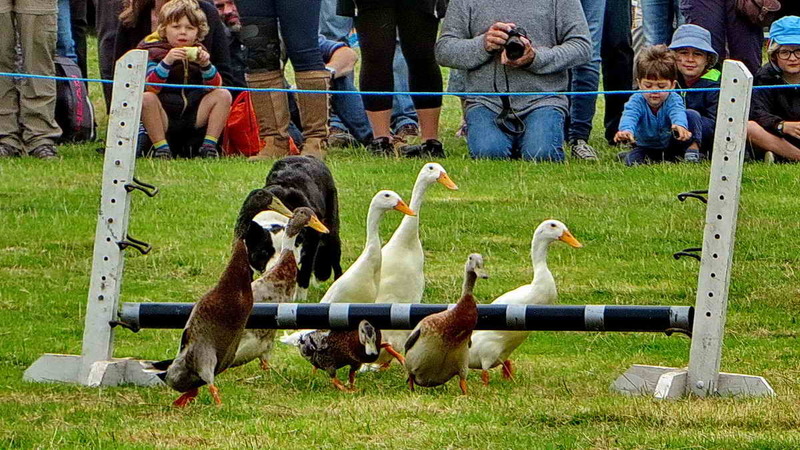 There was a sheep dog display of herding white geese and Indian Runner ducks …..
Quick, quick (or, Quack, quack) – he’s behind me! 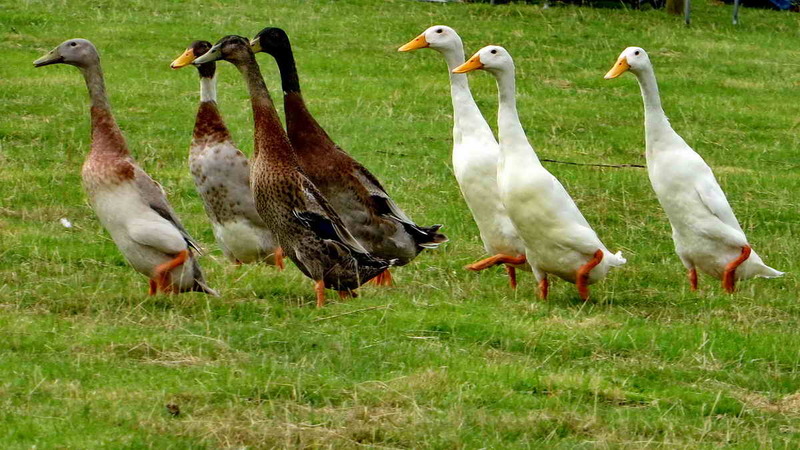 This should be captioned something like “Getting your ducks in a row”. 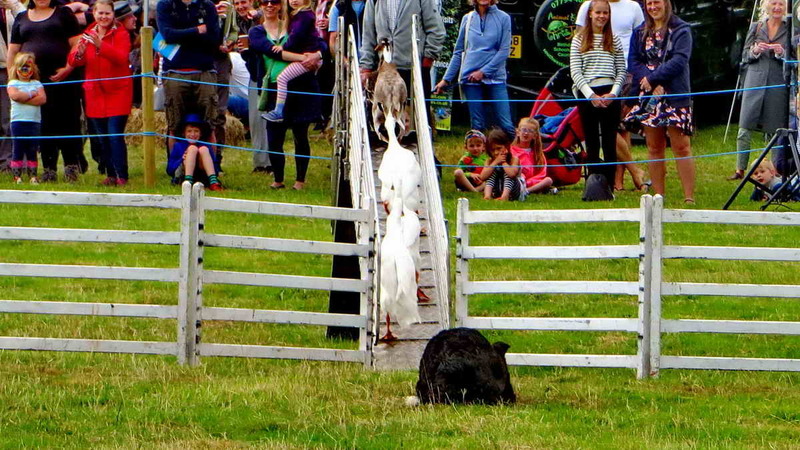 You’re going up and over …..
And, now, for your delectation and delight …. …. and down the other side. 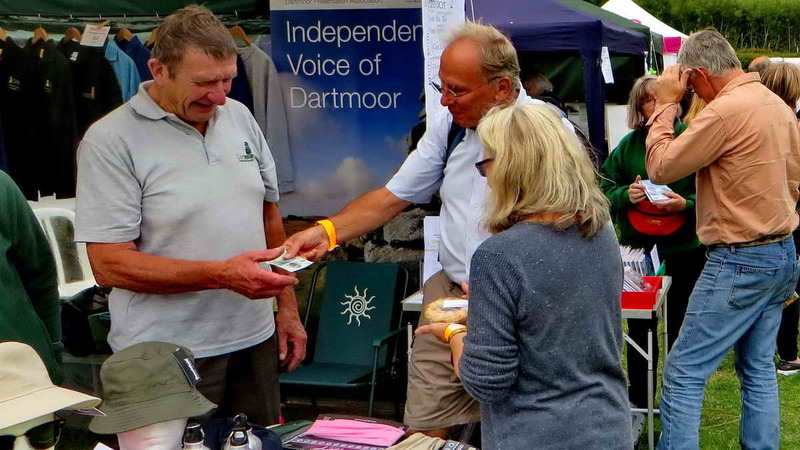 The Independent Voice of Dartmoor was heard by quite a lot of people. 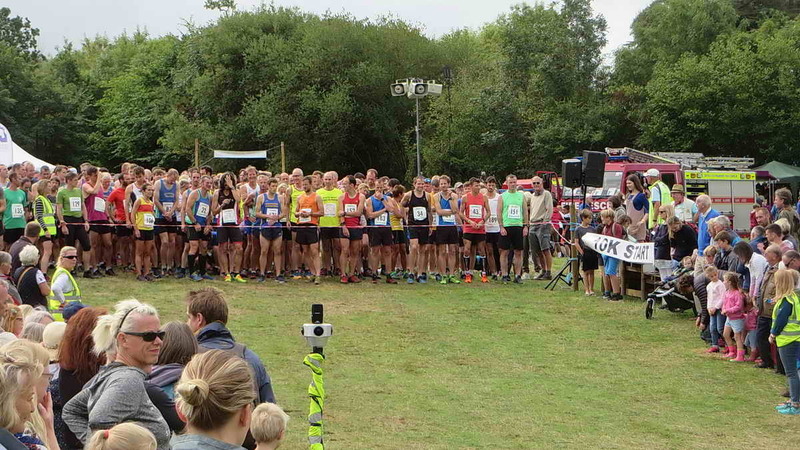 Importantly, funds were raised towards the Aims of the Association. 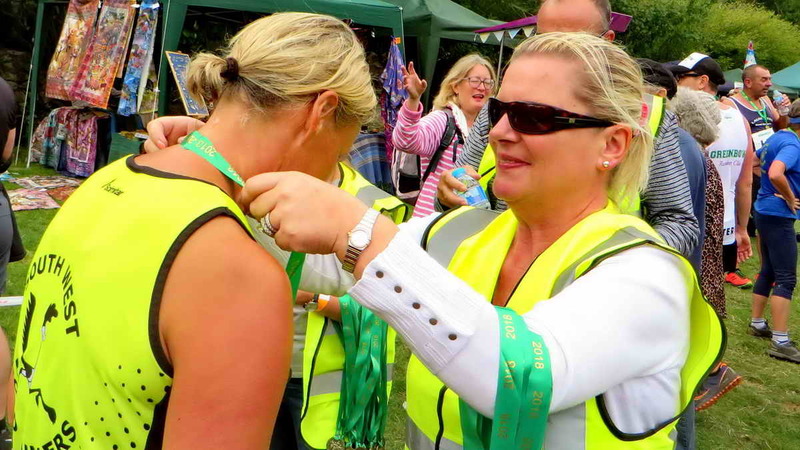 Most of the runners raised a smile as they reached the finish of the 10k race …..
Everyone got a finishers medal. 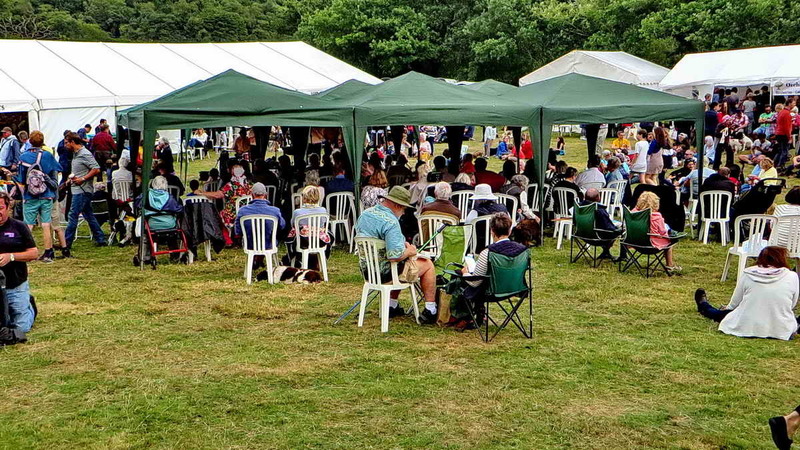 People sitting outside, listening to the trad jazz …..
People sitting inside the Show Bar, drinking beer and listening to trad jazz. 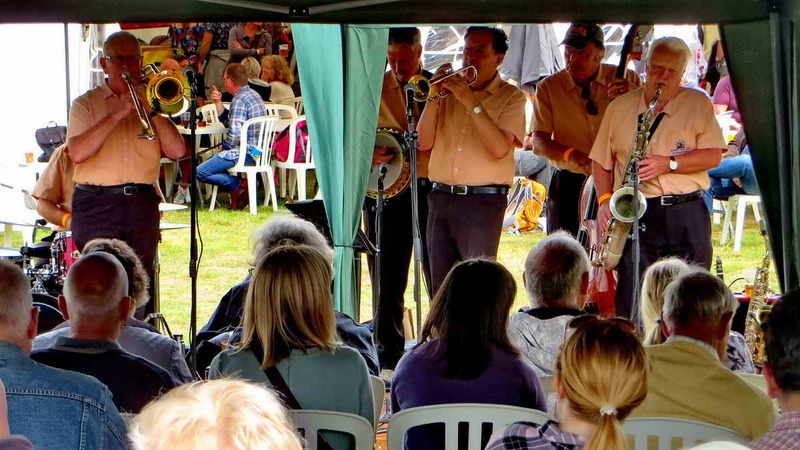 The swingboats weare here again, although I seem to have caught them at a not-so-busy moment. 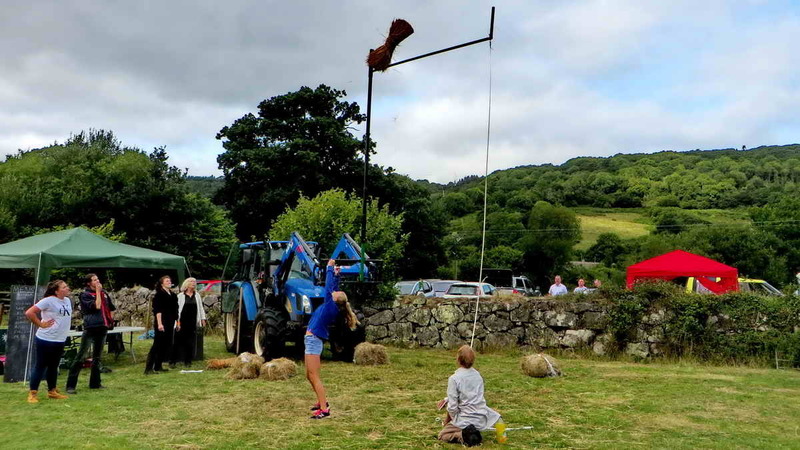 The young lady in this photograph put on a good display of sheaf-tossing skill. 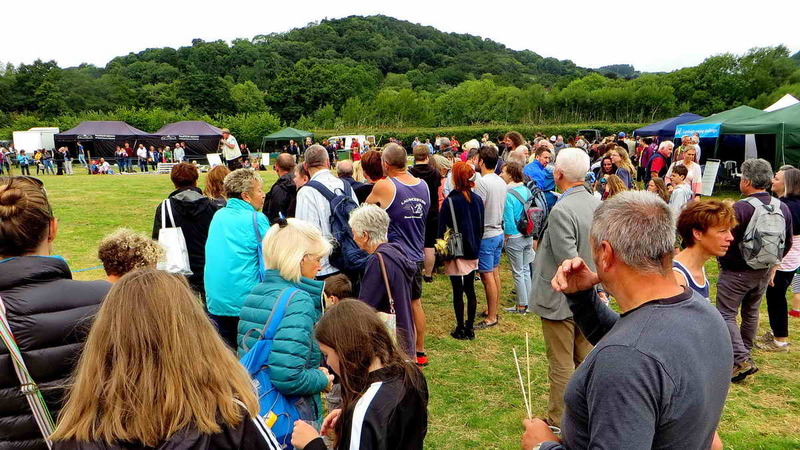 Besides the above, there were other attractions, namely: Punch & Judy, the Dog Show, Pom Stitch Tassel Children’s Crafts, Ferret Racing, The Oakwood Folk, Lily Warne Wool, and Terrier Racing – you can always tell when a terrier race is on, no matter where you are in the area! 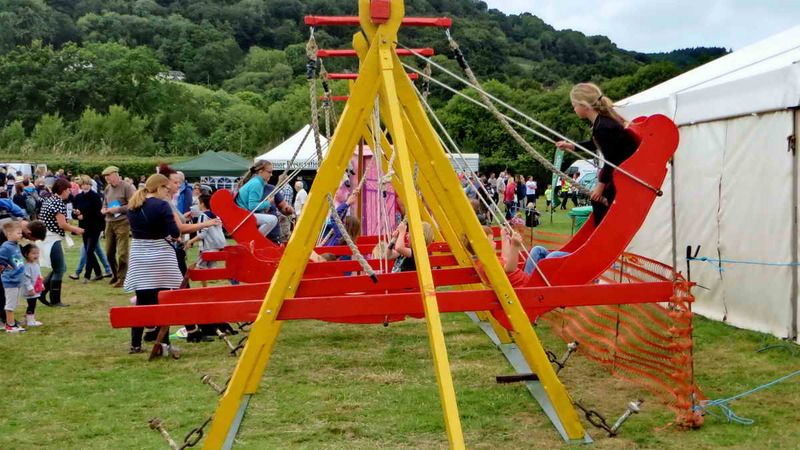 This ends our reportage on the Lustleigh Show for this year. 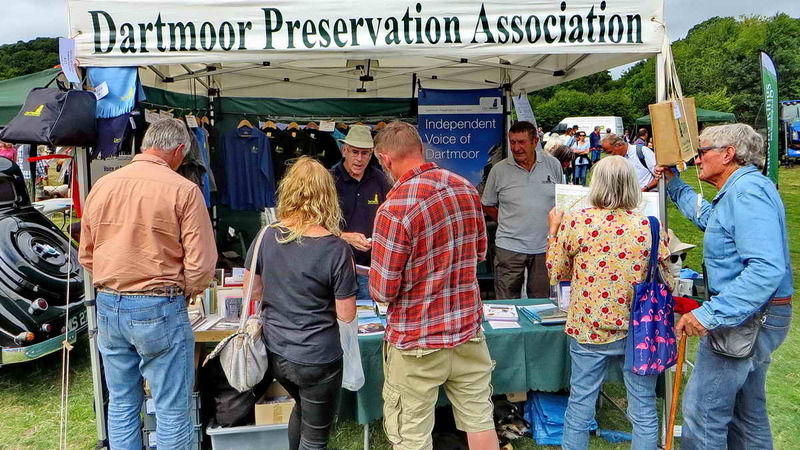 All that remains is to thank Alison for joining us and hope that she enjoyed the day on the stand, I know she asked a lot of people if they knew about the DPA and how we started defending Dartmoor in 1883.